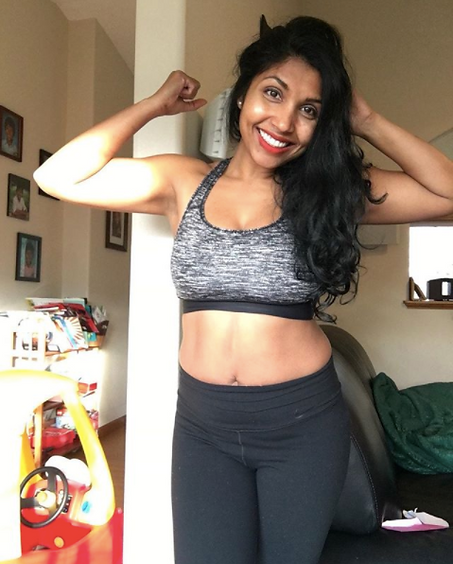 This week, co-founder, Cecilia, had the pleasure of interviewing Zakia, whom she met through Instagram, about her platform and life as a fit-mama. Zakia had some great and inspirational advice to share, read more below! Note: opinions expressed in this interview are solely that of the interviewee and not necessarily representative of BougieMama. It was hard growing up because I was pulled in two different directions. My parents were immigrants and while at the same time I was trying to find my identity between two cultures (Bangladesh and American). I had a hard time finding myself, was a shy child, and had a hard time fitting in. I wasn’t involved in sports or any school activities. I studied engineering in college and later on met my husband at my first corporate job. He is Filipino-American and I was the first person to marry outside of my culture. Some of my family members were very upset they didn’t even come to my wedding. Although I’ve always been a quiet child, I followed my heart and did what I thought was right for me. We now have three beautiful mixed kids together! What brought you to this journey and how did you get started? In the process of having kids and working as a full-time engineer, I was under a lot of stress and began to gain weight. At one point in time, I was 30 pounds overweight and struggling with hyperthyroidism. The weight was just piling on, especially with the hormones off balance, and I had no idea what to do. At the time, I had three kids under the age of 5 and didn’t like going to the gym. Leaving the house and going somewhere to exercise would have been too difficult — packing up the kids and putting them in daycare or babysitting didn’t seem feasible. I needed something that was going to fit into my schedule. I went online and searched for some at home fitness programs that would work and clicked on something that had good reviews. I decided to give it a try, it was a Beachbody program and it worked! Within a few months I lost weight and over the course of the last 3 years, I’ve become really active. Eventually, I was inspired to go on social media to share my story! I wanted other people to know that they didn’t have to be stuck where they are and can still find time to workout and be healthy. What inspired you to become a Beachbody coach? I loved the entire concept that Beachbody stands for. The first workout that I did at home, I fell in love with. I was decided to become a health and fitness coach and help other people, and moms, begin living a better and healthier life. Also, I had been an engineer and working when I had my kids. It was a very stressful environment, sometimes working overtime and on weekend. I decided to leave my job and become a stay at home mom and Beachbody has provided a way to support that financially! 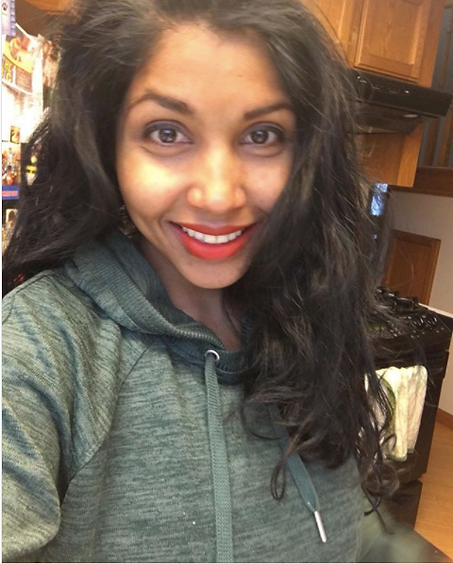 Through the Instagram platform, I have been able to connect with so many people! It’s been such a great outlet and made me realize that I have a passion for fitness. Through this role, I’ve had a big increase in my accountability because I am not only showing up for myself but also for the people that are following her every day. 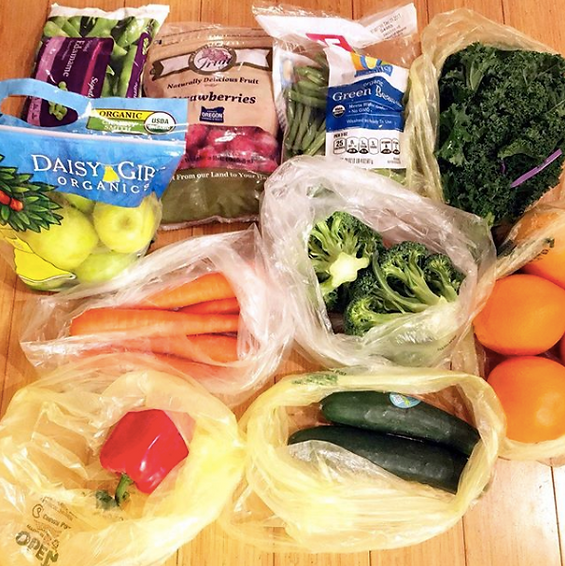 This has especially helped with nutrition accountability and has encouraged me to follow healthier eating habits because I know that I have people engaged. There are some days that I really don’t feel like showing up but my followers and challengers are counting on me! What would you say to those BougieMamas that have set a New Year’s resolution related to fitness and nutrition? I would say to never give up! A lot of people say that they don’t have the time between work, errands, and all of the other things going on. Fitness and nutrition oftentimes get put as the last thing on the list. But, something’s gotta give, if your health and fitness isn’t one of your priorities you may end up paying for it later. Think of it like going to a doctor’s appointment, if you make an appointment you have to go. Put working out or eating healthy on the top of your to-do list and make an appointment with yourself! It doesn’t have to be for a long time even 15, 20, 25 minutes every day makes a difference. When I was working full-time, I would wake up early and workout at home or bring clothes to work and go to the gym there. When my daughter was a baby and would cry every so often, I would exercise for 10-15 minutes, breaking up the workout into increments between nursing sessions. I see that your kids often times join you in your workout videos! How do you include them in your workouts? My kids see me as an example, though I never force them to workout with me! Sometimes they will see me and get interested and jump in and sometimes they don’t want to participate. I do love the concept of working out at home because of the positive impact on your children or significant other — they see you working out and it can be encouraging to them to increase their fitness too! This journey has been inspirational to my husband, he started waking up early to get in his workout as well. It’s definitely like a ripple effect in the way that these changes can be inspiring for others. Many times, I’ll get my workout in and then take the kids to the part or for a walk. They are also involved in sports like swimming, soccer, and basketball. I had to learn everything from scratch and wasn’t in the habit of being active from a young age and I hope that my kids can grow up accustomed to that. You mentioned you were nursing and working out, any advice for breastfeeding mamas wanting to workout? I was able to lose all of the baby weight by my daughters first birthday and I didn’t have issues with supply because I was eating a lot. My main advice is not to starve yourself — always listen to your body because you are burning calories as you are nursing — it’s all about eating the right kinds of foods. Try to eat lots of fruits and veggies, I find that my Beachbody superfood shake is one of my go-to snacks because it has great nutrition. If you like smoothies, making one could be helpful! There are lots of options out there, be open to trying something new and different and also to challenges! Be ready to step out of your comfort zone. Joining a group or recruiting a friend for accountability can be really helpful. My biggest change happened when I became a coach because I took an accountability leap that provided that extra push out of my comfort zone and into a new opportunity. I also listen to a lot of personal development and self-help books. Sometimes listening to other people’s stories can help you break out of a negative mindset. It can be hard to make time for personal development, but I’ve found a lot of books on audible that I listen to in the car. Zakia, @zakiasfitlife, was born in Bangladesh and immigrated to the United States with her family when she was 8 years old. She is a wife and a mother of three children. Zakia has been working out for several years now and has become a coach with Beachbody. Her inspirational quote and message to our BougieMamas is to never give up! There will be obstacles in your road that you’ll have to face but it is always about looking at where you are and what isn’t working for you. Don’t be afraid to make a change!